Makers of unboxing videos will be sad to learn that Apple has discontinued a number of boxed software products sold in its retail stores, indicating the company’s desire for users to purchase items from the online Mac App Store in future. An Apple Insider report says that discontinued products (in cardboard container form) include iWork ’09, Aperture 3, iLife ’11, Apple Remote Desktop, along with various Jam Packs for GarageBand. A note to resellers on Wednesday declared these and other products “end of life.” Also, OS X Lion, Apple’s new operating system released Wednesday, is the first Apple OS X to do away with boxes altogether and is only available through the Mac App Store. It was the launch of the Mac App Store back in January that signified the beginning of the end for Apple’s boxed software products. The Mac App Store came about following the huge success of the iOS App Store, allowing users to easily purchase and download apps for their Mac laptop and desktop computers. Apple Insider also said that the Cupertino-based company had earlier this year cut down on the number of games sold in its stores, from 32 to 8. And where can those games now be bought from? Why, the Mac App Store, of course! The large amount of space in Apple’s stores left by the absence of boxed retail software will, conveniently enough, make way for products that generate more profit, such as the company’s popular iPad and iPhone. And looking at the company’s financial results posted Tuesday, generating profit is something Apple appears to be doing with some ease. The last quarter saw profits of $7.31 billion on record quarterly sales totaling $28.57 billion. 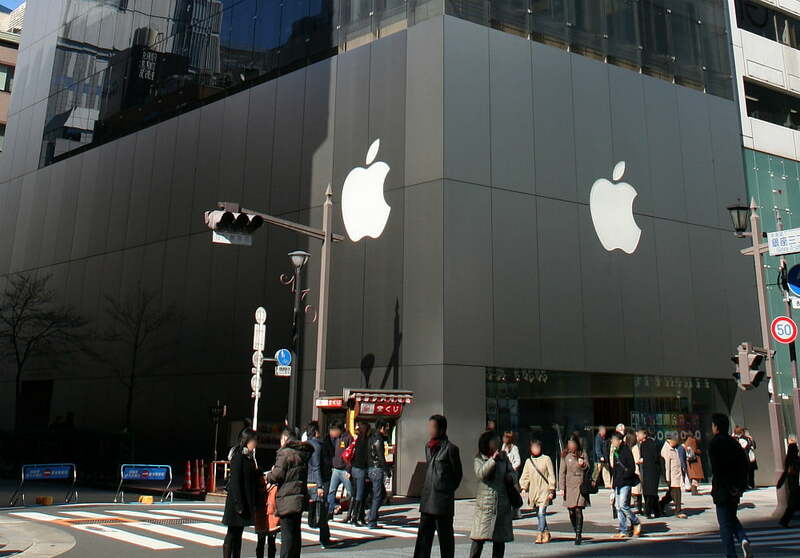 Of that $7.31 billion, Apple’s 300 retail stores worldwide generated $828 million in profit, thanks to some 73 million visitors. As to whether the removal of boxed software from the shelves will help boost profits even further in the next quarter, we’ll just have to wait and see.